A new abuse lawsuit has been filed against former Penn State assistant coach Jerry Sandusky. The new accuser claims he was abused about six years ago. The case was filed in Philadelphia last month by Williamsport attorney Bret Southard, whose client was identified only by his initials, The Centre Daily Times reported. The lawsuit claims Jerry Sandusky abused the boy during a shopping trip in 2008 or 2009, and after they attended a Penn State game in 2008 against Coastal Carolina University. The trip would have come around the time law enforcement officials began investigating Sandusky in late 2008, based on a complaint involving a student in central Pennsylvania. They charged him in 2011. Bret Southard told the newspaper his client represents a new case. The lawsuit seeks $550,000, along with punitive damages and interest. Penn State previously settled 26 cases for nearly $60 million. The lawsuit describes the boy as a participant in The Second Mile, the charity for at-risk children Sandusky founded, the newspaper reported. Second Mile official David Woodle said the charity would “engage with them and try just to understand what’s there and take it through the legal process”. He said The Second Mile now exists only as the owner of real estate that is currently for sale. 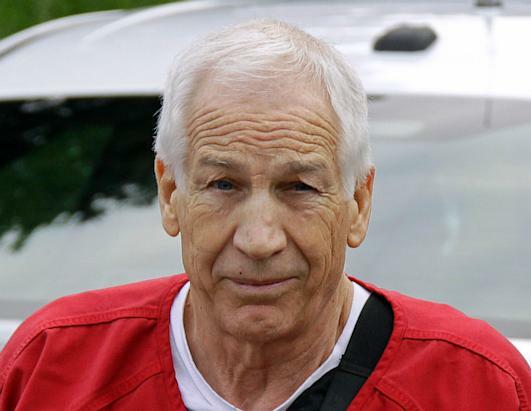 Jerry Sandusky, 70, was convicted two years ago for abusing ten boys and is serving a lengthy state prison sentence. The lawsuit said the accuser was among the boys listed as Second Mile participants on a document taken from Jerry Sandusky’s home during the investigation. Some of the names had check marks next to them.